Head Start is a free program for young children from low-income families. Children who participate take part in fun activities which help develop educational and social skills. They also receive nutritious meals, health care, and play in a supervised setting. Our programs strive to deliver quality services to children and their families. Head Start helps all children succeed. The South Carolina State Head Start Association works to create safe, healthy, nurturing learning environments for all children in South Carolina. We focus on the early years in children’s lives, schools, and communities. We provide resources and support for children’s first and most important teachers—their parents—and others who care for and teach them. Find out if my child is eligible for any Head Start programs, and how do I sign up? Children from birth to age five from families with low income, according to the Poverty Guidelines published by the federal government, are eligible for Head Start and Early Head Start services. Children in foster care, homeless children, and children from families receiving public assistance (TANF or SSI) are categorically eligible for Head Start and Early Head Start services regardless of income. Head Start programs may enroll up to 10% of children from families that have incomes above the Poverty Guidelines. Programs may also serve up to an additional 35% of children from families whose incomes are above the Poverty Guidelines, but below 130% of the poverty line if the program can ensure that certain conditions have been met. Pregnant women may also be eligible for Early Head Start. To sign up, find a program near you and contact the administrator. They will guide you through the application process. Find out which programs are available in my county? Check our program map here, which shows programs by county. You can also check the federal list of HeadStart programs here. And, you can contact us here if you have any questions or need help. Sign up for Medicaid, CHIP, or the Affordable Care Act? To sign up for the ACA (Obamacare), go here. To apply for Medicaid, go here. For information about the CHIP program, go here. 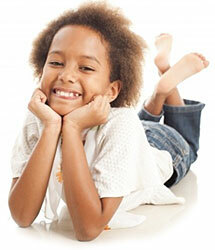 Learn what activities my child will be doing when they are enrolled in Head Start? Most children who enroll in Head Start attend a half-day center-based program. However, some communities may operate a full-day program or provide Head Start services through a home-based setting. In a home-based program, staff called Home Visitors teach parents how to provide learning experiences for their own children. Some center-based programs offer children bus rides to and from home. When the children arrive at the center, they are greeted warmly by their teachers. They put whatever they have brought from home in a place which is their own to use every day. Classroom time includes many different activities. Some teachers begin the day by asking the children to sit in a circle. This encourages the children to talk about an idea or experience they want to share with others. In some centers, the children plan their activities. They may choose among art, playing with blocks or table toys, science activities, dancing to music, looking at books, or pretend housekeeping. Children can switch activities if they prefer another challenge. Each day, they have time to work in a small group with other children and to play outdoors on safe playground equipment. Find out about preschool or child care options in my area? You can search for day care providers in your area here and here. If you need an ABC provider, check here. The 2019 Fatherhood Conference is coming! Get more information here. Our vision is to be the voice for children and their families in South Carolina. We strive to build first-class learning opportunities that are developmentally and culturally relevant for all South Carolina children. © 2019 SCSHSA. All rights reserved.